John Lim wants to go home. Lim, a sophomore Bible and family ministry major, is from Choa Chu Kang in Singapore, and for the past year and a half, his enrollment at Harding has been sponsored by his home church, the Pasir Panjang Church of Christ in Singapore. 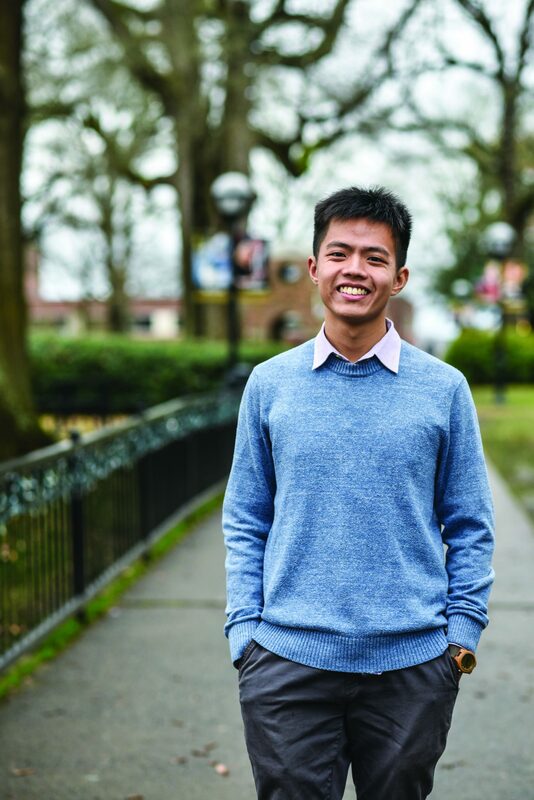 Though Lim has enjoyed and is looking forward to his Harding experiences, his attendance at the university serves a larger goal: to return to Singapore after graduation in order to work with the Pasir Panjang church. As a teenager, Lim approached his church and told them he wanted to pursue ministry in order to later help grow their church, and the church responded with support. He first heard about Harding from alumni that attend his church, and became better acquainted with the school by Harding students that visited Singapore through a Global Outreach program.The way the alumni and students discussed Harding stood out to Lim. Beng Chuan Tan, a minister at Church of Christ Pasir Panjang, said Lim’s passion and skills will benefit the church, and in some ways, they already have. Lim helped lead worship services last summer. While in Singapore on a Global Outreach trip, Gary Jackson, an instructor in the College of Bible and Religion, met Lim while visiting the Pasir Panjang Church of Christ. Jackson and Lim have stayed connected at Harding, and Jackson said he admires Lim’s dedication to ministry no matter where he is in the world. Lim is active in the Chinese ministry at Harding, as well as in a church ministry in Higginson, Arkansas. Lim plans on working in the youth ministry in his home church, as well as working on the church’s media platforms. Lim said he wants to help in youth ministry because of positive and negative experiences in his own youth. “I understand that they need someone to look after them, someone to be their friend when they think no one else is there for them,” Lim said. Lim graduates in May 2021 and intends to begin his journey back to Singapore shortly after.